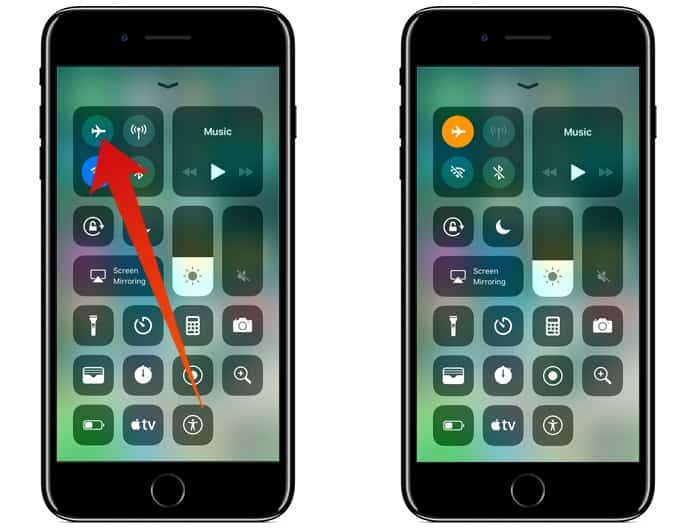 The quicker way to turn Off WiFi and Bluetooth in iOS 11 is to open the control center and tap on the WiFi and Bluetooth icon. This is will turn Off WiFi and Bluetooth? Well, if you think yes it would, then sadly you’re mistaken. As disabling WiFi and Bluetooth from the Control Center does not in actuality shuts down Bluetooth and WiFi. Instead of disabling the WiFi or Bluetooth from the Control Center, it just disconnects the WiFi and Bluetooth connection. Hence, it makes a lot of users confused regarding whether they have to turn off WiFi and Bluetooth completely. But do not worry you can turn off the wireless services on your iPhone and iPad in iOS 11, not from the Control Center. You have to go to the Settings app on your iPhone and/or iPad to actually turn off WiFi and Bluetooth in iOS 11. So to clarify what we mean when we say ‘Control Center disconnects WiFi and Bluetooth’ and ‘Settings app disables WiFi and Bluetooth’ in iOS 11. Here is an example, when you tap on the WiFi button in the Control Center, what it does is that, it disconnect your connection from the connected WiFi router. And in the background, the WiFi service is still active on your iPhone or iPad. Similar to it if you tap on the Bluetooth button on the Control Center. It will just disconnect the connected or paired device, like headphones, speakers, Apple Watch and any Bluetooth enabled device. So forth it does not, in reality, turn off the Bluetooth option on the iOS device. Henceforth, if you disable Bluetooth and WiFi from the Settings app it will then completely, both disconnect and turn off WiFi and Bluetooth. Note: This only happens in the newer version of software update which is iOS 11. Therefore, if you have not updated to iOS 11, then disabling the wireless services from the Control Center will actually turn off WiFi and Bluetooth. As aforementioned disabling WiFi or Bluetooth from the Control Center does not turn off them. As an alternative, you have to go to the Settings app to disable these wireless services. Launch Settings app > from the top under the Settings option, tap on WiFi > then toggle the slider next to WiFi to OFF. 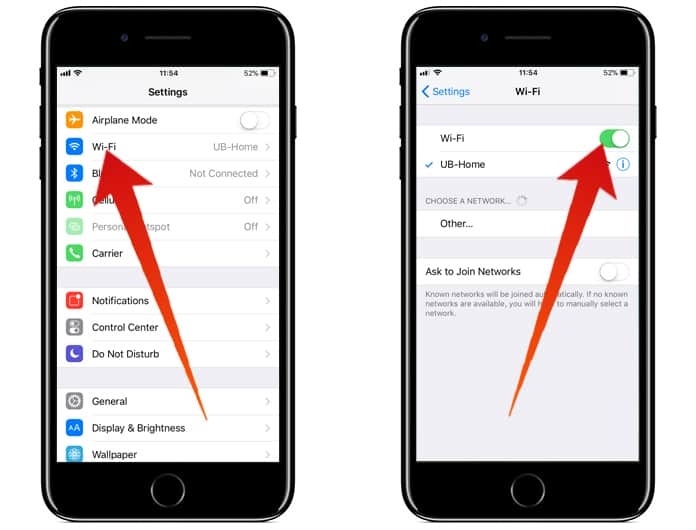 It will now completely turn off WiFi on your iOS device. Launch Settings app > from the top under the Settings option, tap on Bluetooth > then toggle the slider next to Bluetooth to OFF. 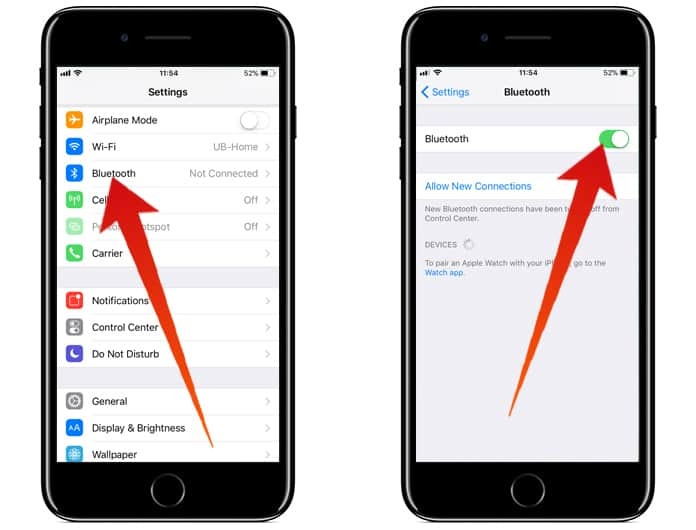 It will now completely turn off Bluetooth on your iOS device. There is another alternative way to actually turn off WiFi and Bluetooth. You can use Airplane mode option to completely disable both Bluetooth and WiFi simultaneously. This option can be accessed from both the Control Center and Settings app. So rest assure if you use the Airplane mode from the Control Center it will completely turn off the wireless services. But using the Airplane mode, also means that your cellular connection is also disabled, therefore taking your iOS device off from the grid. 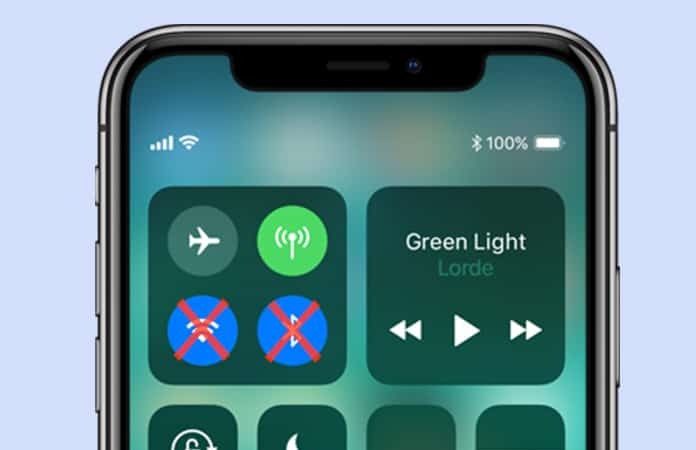 Let us know in the comment what you prefer to disable or disconnect Bluetooth and WiFi from the Control Center?